Is it really possible to earn 27% more revenue with this simple proposal strategy? If you've read my articles for any amount of time you know that I'm always on the lookout for business lessons that apply to what we do as architects. Recently I took a trip with the family to the petrified forest in Napa Valley, CA. In the gift shop they sell gemstones and fossils. Most are priced in the $5.00 – $20.00 range. 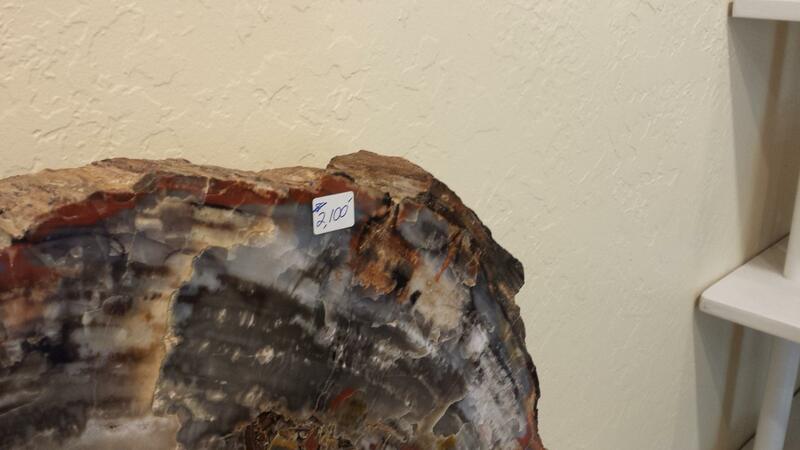 Yes, this is a polished rock for sale for $2,100 US ($2,959 for my Australian friends). 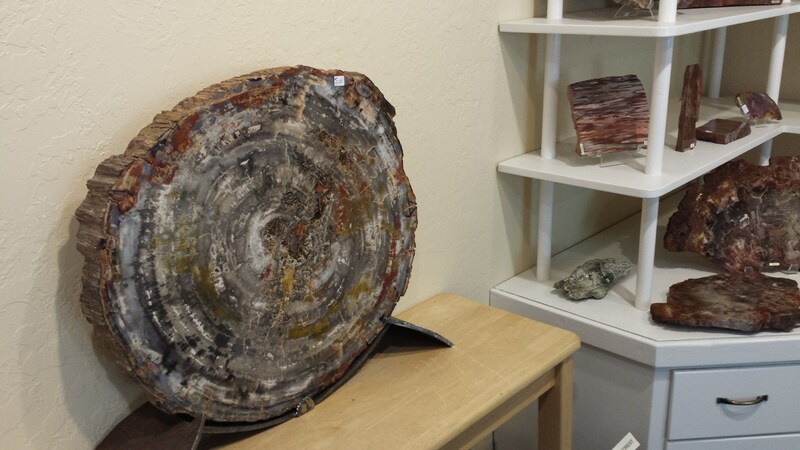 The more I looked at it, the more I thought it would be neat to have slice of a petrified tree hanging out in my living room. Is this just the crazy idea of a deranged gift shop owner, or is there a deeper business lesson at work here? Perry Marshall, in his book 80/20 Sales and Marketing, talks about something called the 80/20 demand curve. What this says, basically, is that for every 100 people who enter the gift shop, one person will be willing to pay for something very expensive, and the vast majority will pay for something much cheaper. Intuitively, this just makes sense. There are fewer people of wealth than people of average income. Although 1000 people might walk past the $2100 slab of rock in the gift shop, all it takes is 1 person to purchase it. And with that one purchase, the shop has hugely increased the revenue for that day, and served its customers better by giving them what they want. This is a good example of offering products at different price points to fit market demand. When I walk into my gym, there is a big sign that offers a V.I.P. upgrade for an extra $15.00 per month. They also offer multiple plans – you can access one gym for $60 per month, or get access to other gyms with more amenities (like racquetball courts) for $80 per month. Again, this gives me as a patron more options – and it also increases the gym's average customer value (the amount of money spent by an average customer over the life of the customer's patronage). It's a perfect win-win situation. I get more options, my gym gets more money. 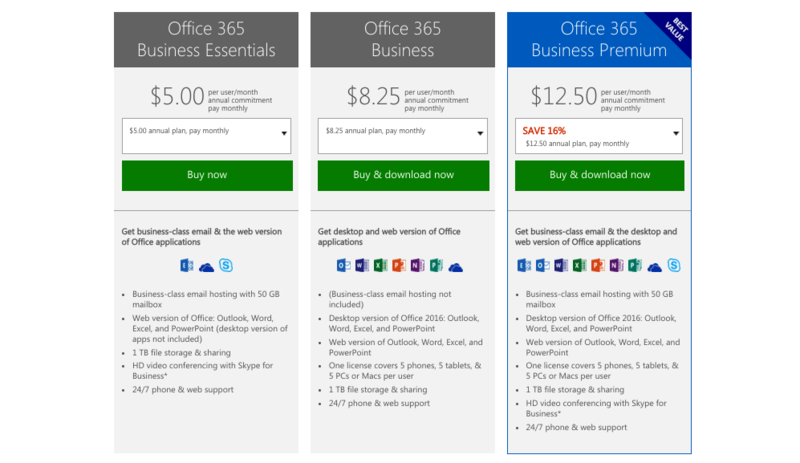 Here Microsoft is offering 3 different price levels for their “Office 365” service. At the lowest level you have “Business Essentials” – for the price sensitive freelancer with minimal software needs. On the upper end is the “Business Premium” level – for an extra $7.50 per month. Now on the surface an extra $7.50 doesn't seem like much, but compared to the “Essentials” version they've increased their revenue by a whopping 250%! 1. Clients and customers get more options. Instead of forcing everyone into only one way of doing business with you (one price point), you give your clients and customers more options. This serves them better because they are more likely to find a price point in line with their budget and needs. 2. The business increases revenue. By giving your clients options, it's likely you'll capture more clients because they'll find a price point to their liking. And for those premium clients who always want the best, you'll be able to offer them an upgraded service (and value) at a higher price point. By offering your clients multiple fee packages, you can increase your revenue by 20% or more, if done properly. How is that? Well your top level, premium package should be priced like a premium service and you should charge for the extra value you provide. If just a few clients take your premium option, you've added revenue straight to your bottom line. Now, there's an art and a science to offering different fee packages, but that is beyond the scope of this article. – Break apart your services to create different service levels. Your basic service package might include permit drawings only. An upgraded service package might include multiple renderings, a video walk-through, interior design services or sales and marketing materials that you produce for your clients. – Above all else, keep it simple. – Use a visual price matrix. This will help make it clear what each fee package includes. See the Microsoft example above for what a visual price matrix should look like. – Offer a turn-key, all-inclusive package (where the client has to do as little as possible). This is your high-end package and it will attract people who value time more than money. – Give your service levels names. Keep it simple, don't go overboard inventing cute names. Bronze, Silver, Gold or Basic, Premium and Executive will suffice. – Clearly explain the value of each service package. Describe the benefits a client will get from each service level, not just the features. For example, a feature is a 3d-rendering plotted at 600 dpi. The client may wonder, “So what's it to me?” The benefit answers this question: it makes you happier with your finished space because you saw it beforehand! For more information on using compelling benefits in your next architecture proposal, read this article from the Architect Marketing Institute. When done properly providing multiple fee packages can mean the difference between winning and losing a project. This is because the client won't be forced into choosing only one option. If they feel your fees are higher than they like they can go with a minimal package. Now, if you're already doing this, drop me a note so I can see what you are up to! And if you decide to implement this, let me see what you work up! What do you think about this strategy? Leave your thoughts in the comments below. This seems great for when you don’t ask or don’t know a budget. How can we utilize this as a design/build that gets a budget for the entire job prior to drawing a plan? Travis, can you clarify your question? So…. Did you buy the rock? This article gives me now an insight on where I should start. Very informative and simple approach to any prospects. Thank you so much. The firm I work for just got done with a variation on this theme that involved risk reduction instead of added value. A client of ours had asked for renderings to be delivered on a fast-track schedule for display at a fundraising event. Since the rendering firms we usually work with were not available, we had to find new subs. One renderer gave a much higher price than the other, but also offered evidence of having heard and understood the detailed time and process requirements of our intended delivery arc. In our own proposal, then, we gave our client the option of choosing between these subs, and disclosed that we had not worked with either one before. But we also opined that the more expensive firm seemed committed to do what it would take to deliver on time. Time being more valuable to our client than the premium on the fee in this case, they bought the more expensive package. Our recommended rendering sub hit all its landmarks, and we ended up delivering a sharp-looking project that pleased our client immensely and beat our deadline by one business day. Great example of another variation on the “give multiple options model.” Thanks for sharing! Hi Enoch, i really liked this article. I’found some information about this topic in the past about the decision making of the client but your approach to the business of architecture seams correct and appropriated. I’ll leave you a Dan Ariely TED talk that explains this phenomenon from the perspective of customer behavior. Thanks for the article, it is Explained very well and is very useful. Do keep up this good work! John, I agree with you. In the most European Countries, US, Canada and South America only registered Architect can submit a project for development approval. I was practicing Architecture in Europe, US, Middle East; in all these Countries it is requirement to have an Architect seal and signature on drawings for council approval. When I came to Australia I was shocked to learn that Architectural qualification and license are not required to practice Architecture. The same as it is in England. That is 100% wrong and needs to be changed. We are pushing this necessary change in Australia and have faith and confidence that it will happened soon. Thanks to Enoch for a wonderful article. Interesting. In the U.K. our biggest problem is that, unlike in sensible Countries, no qualifications are required to offer ‘architectural’ services. Therefore we have a heap of people purporting to be as good as architects, clients believe them and their cheap fees. By the time clients realise, it is too late and my profession still gets the blame. I cannot provide their level of service without breaking my code of professional conduct. I will try: 1- ‘basic’ = architectural services = legal minimum level of service (but list what it excludes), 2- ‘standard’ = RIBA full service exclusive of ‘extras’, and 3- ‘premium’ = as RIBA full but inclusive of ‘extras’ (all as a Smörgåsbord of ‘add-ons’). Really interesting read, thank you John for your comments with UK. Being a RIBA architect in UK, I agree 100%, I will add that even the BASIC package should be at a high standard. Also I assume that these priced package would be for small scale residential project maybe and bespoke quotes for developers and commercial architecture? Brilliant article as always, Enoch. Thank you very much for the details and the way you explained the examples, I totally agree with the fact that clients are always looking for a win win and especially the benefits of the services offered, I took note of these advices and I’ll let you know later how it worked ? This was a good piece. I think Clutter moved your emails out of direct view. It was great reading your above article. .we practice in India since last 32 years. . I need advice on how to open and operate multiple branches of our firm. .
Main problem comes in operation. . Thanks for the useful information and guide, for how to give several options to client. I did this on some way, but it was not formed like you have described with excellent examples.